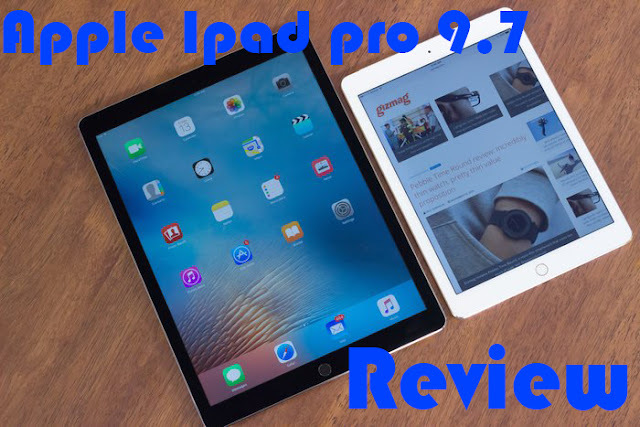 What Techie Thinks about - iPad Pro 9.7 ? The naming is a bit clunky. 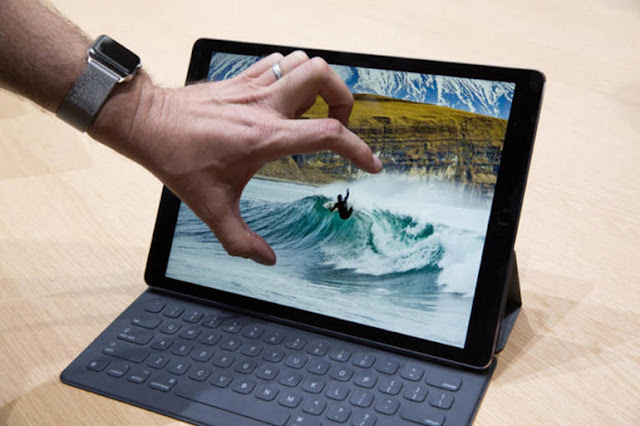 The iPad Pro 9.7 inch is certainly descriptive of the device, but it’s not as clean as iPad Air or iPad Mini – it also means the former device is now the iPad Pro 12.9, which looks even more like an OS numbering scheme than a way to tell two models apart. The original iPad Pro helped tablets evolve beyond mere consumption devices, thanks to its desktop-grade A9X processor and powerful Apple Pencil for creative professionals. But not everyone wants a huge 12.9-inch screen. The iPad Pro 9.7 inch (starting at $599) delivers the same speedy CPU, Apple Pencil capability and an optional keyboard in a much more manageable size. You also get a much sharper camera and a new True Tone display that automatically changes the screen color based on your environment. This tablet also nearly lasted nearly 11 hours on a charge, which puts Windows 2-in-1s such as the Microsoft Surface Pro 4 to shame. 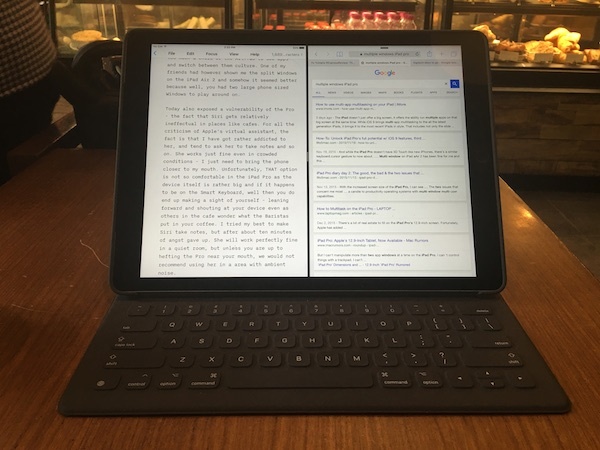 Apple’s 9.7-inch iPad Pro is a familiar and excellent product. While a smaller version of the large 12.9-inch iPad Pro Apple just launched last fall may seem like a quick solution to iPad sales problems (it more or less peaked in 2014 and has been flat-to-falling ever since), it would be foolish to think that the company developed the 9.7 edition quickly. It’s safe to assume that it was on the drawing board when Apple was developing the first iPad Pro. On the other hand, the somewhat unwieldy $799, 12.9-inch iPad Pro has probably not been a big consumer hit (no one expected it to be), and Apple desperately needed a fresh start for its flagship iPad. The 9.7-inch iPad Pro is it. Apple has not discontinued the iPad Air 2 (or iPad minis, for that matter), but there’s so much more power and utility in the new tablet that it’s hard to imagine why anyone would opt for an Air 2. And if you think the price is a reason, keep in mind that $100 more not only gets you double the storage space of the base model iPad Air 2, but it also significantly ramps up the processing power and gets you Apple’s best iSight camera with 4K video recording. 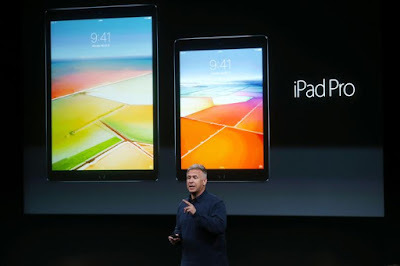 Phil Schiller, Apple's senior vice president of worldwide marketing, announces the 9.7-inch iPad Pro at Apple headquarters in Cupertino, California, March 21, 2016. 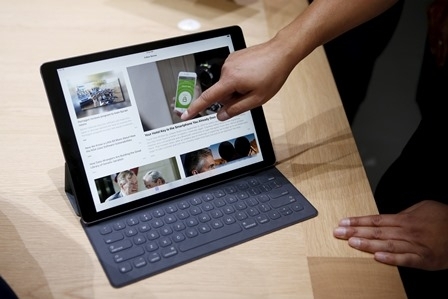 The Additional Processing Power from Apple's A9X chip means that the new tablet can get away with just 2GB of RAM. The 32GB of storage is another strong selling point of the latest iPad Pro.